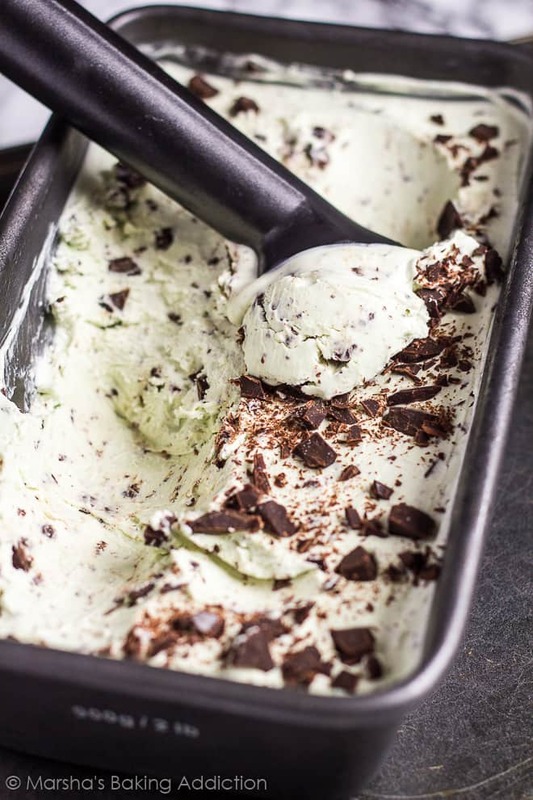 No-Churn Mint Chocolate Chip Ice Cream – This deliciously smooth and creamy ice cream is infused with peppermint, and loaded with dark chocolate chunks! 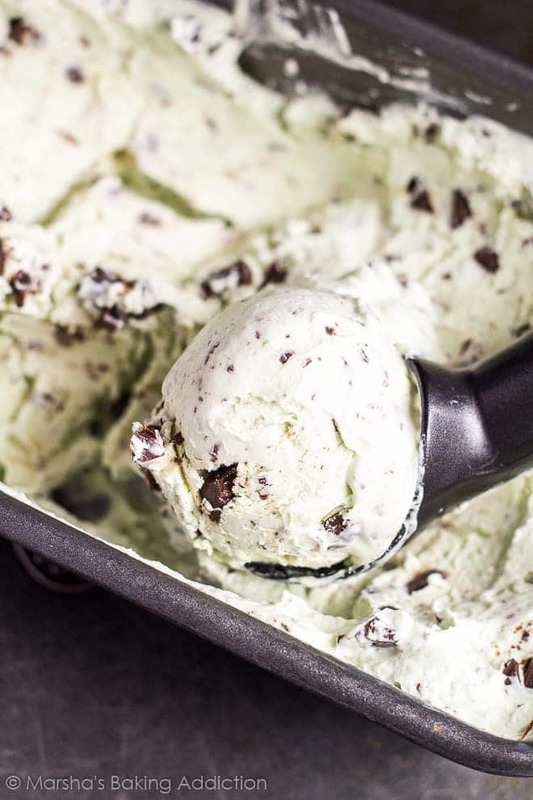 Mint Chocolate Chip is one of my all-time favourite ice cream flavours, so today I bring you my recipe for super quick and easy No-Churn Mint Chocolate Chip Ice Cream! Yep. This ice cream is no-churn, and only requires using a handheld mixer to whip up some heavy cream. It’s so quick and easy to throw together, and only contains 6 simple ingredients. The base ingredients are heavy cream and sweetened condensed milk. This ice cream is just perfect for Spring/Summer time, and everyone will love it! Try these ice cream recipes next! 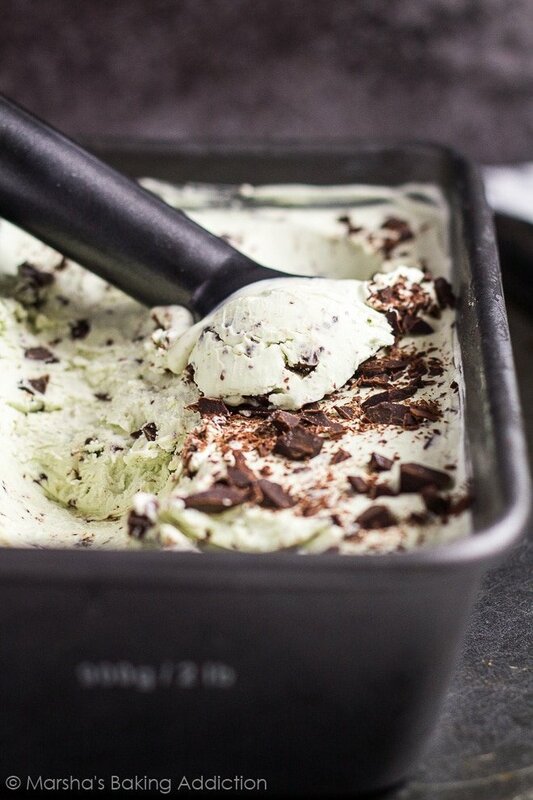 This deliciously smooth and creamy ice cream is infused with peppermint, and loaded with dark chocolate chunks! Using a handheld or stand mixer, whip the heavy cream to stiff peaks. In a separate bowl, whisk together the condensed milk, peppermint extract, vanilla extract, and green food colouring. Gently fold in the whipped cream. Add more food colouring if needed. Fold in the chocolate chips. Pour the mixture into a 9x5-inch loaf pan, and cover tightly. Place in the freezer for at least 6 hours, or overnight before serving. 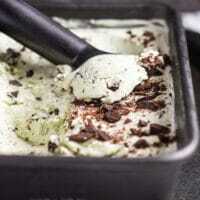 This ice cream can be frozen for up to 1 month. Yum! I love homemade ice cream! Yum!! 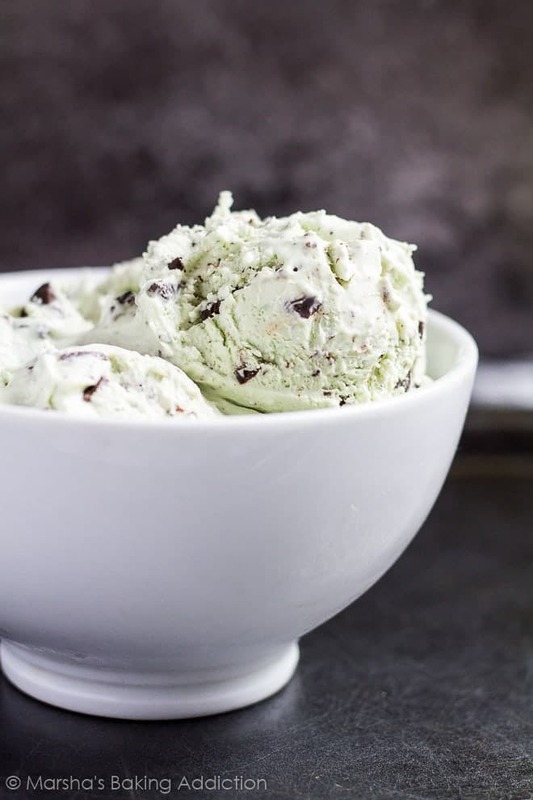 Mint chocolate chip is one of my all time favourite flavours too and I love ice cream made on condensed milk so this sounds perfect. The ice cream looks so great! Your recipe doesn’t require ice cream maker ^^ Gonna try it this weekend. Thank you for sharing! Can you make it with other flavors?